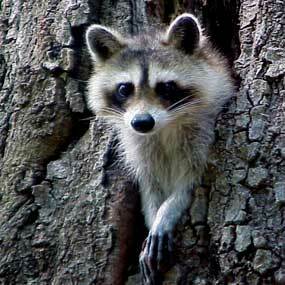 The Catalina Island Conservancy reports that a raccoon was spotted in the Two Harbors Campground on Catalina Island. Despite a rapid response setting up capture cages, the raccoon has not been apprehended. This raccoon poses a serious threat to island foxes and other endemic island species. Raccoons are not native to the California Channel Islands and they are now believed to have been the source of the distemper virus that killed over 88% of the Catalina Island foxes between 1998 and 2000. More on the threat posed by raccoons. For information on what to do if you see a raccoon on a boat: Raccoon Awareness Flyer. 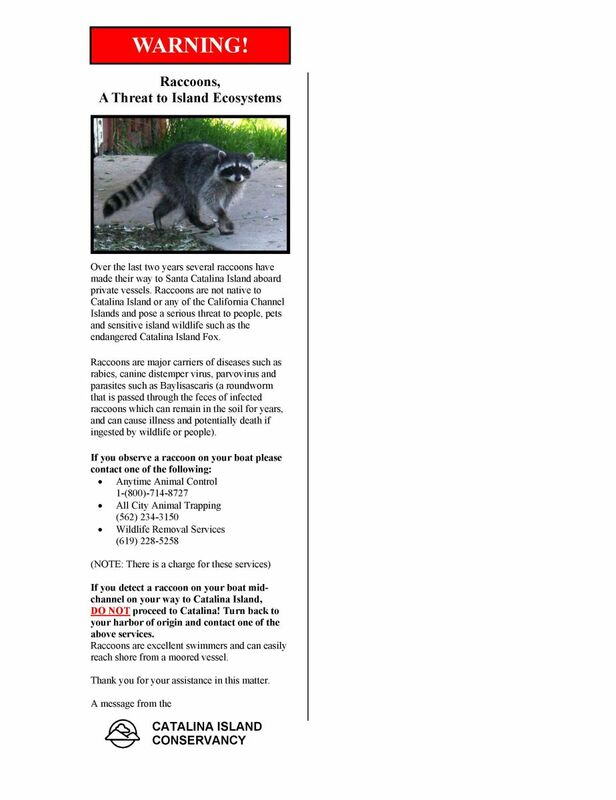 If you should see the raccoon on Catalina Island please contact the Catalina Island Conservancy. For the safety of the island fox and other island species it is imperative that this raccoon is apprehended as soon as possible.